These racers meet up on Friday nights to put their skills and machines on the line to enter the top-10 list. 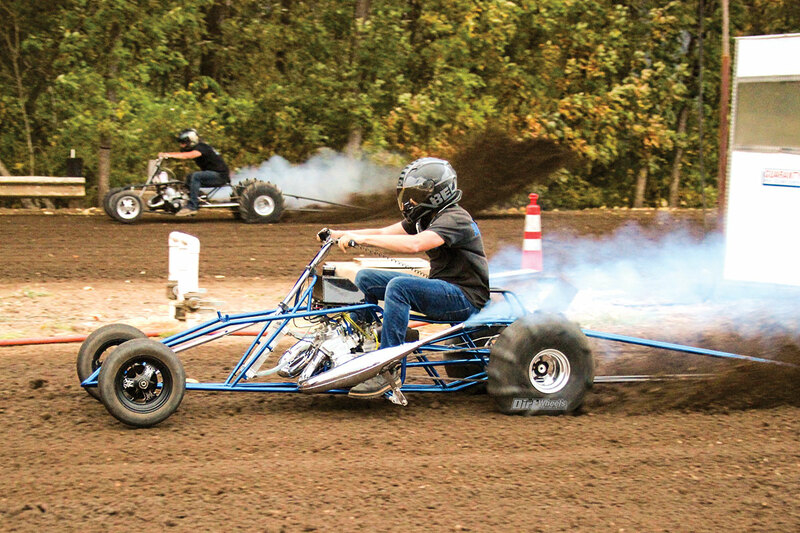 TWO-STROKE TUEDAY'S FASTEST QUADS IN THE WEST! Friday-night ATV Grudge Racing By Gee Armstrong Photos by Juli Moore, Dirt-N-Dunez Photography. 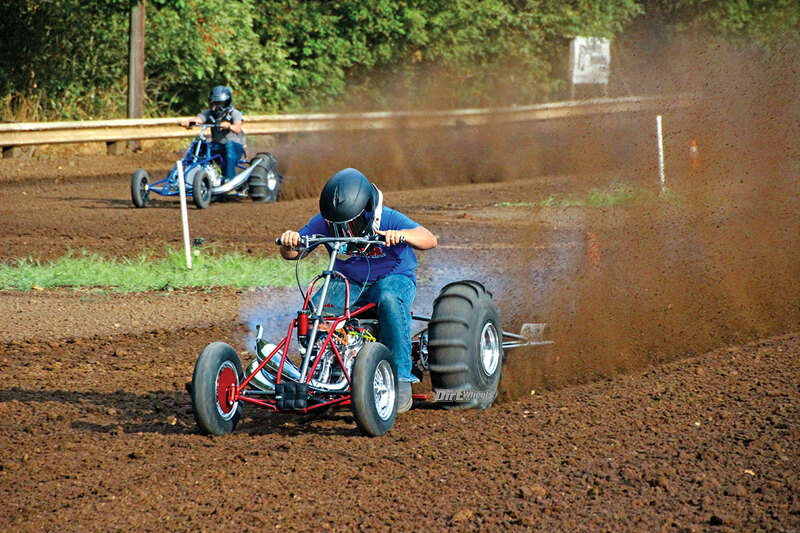 Most adrenaline-fueled ATV enthusiasts are always ready for a good, fast, heart-pumping drag race out at your local riding spot to see whose buddy’s quad is the fastest. 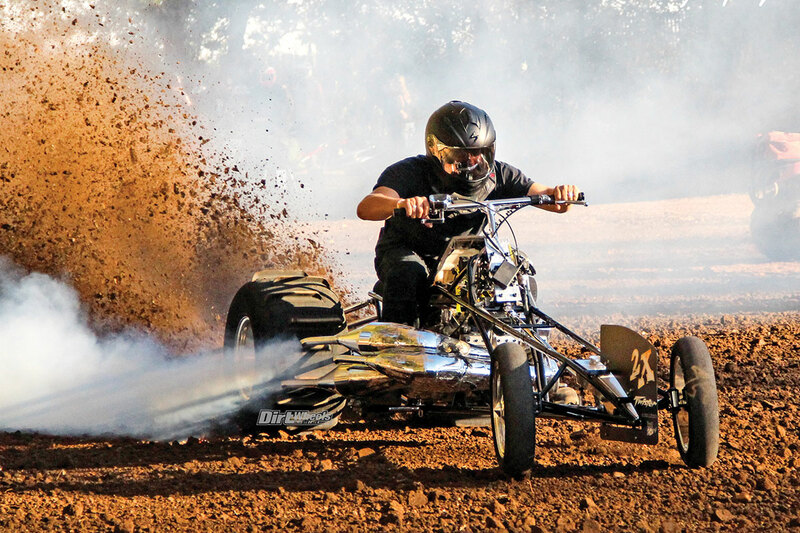 Some of us crave even more excitement, though, with an all-out heads-up battle on the sand-drag track to find out just who’s the best. The race quads on these circuits are built for straight-line speed only, which means they must be as light and powerful as possible. 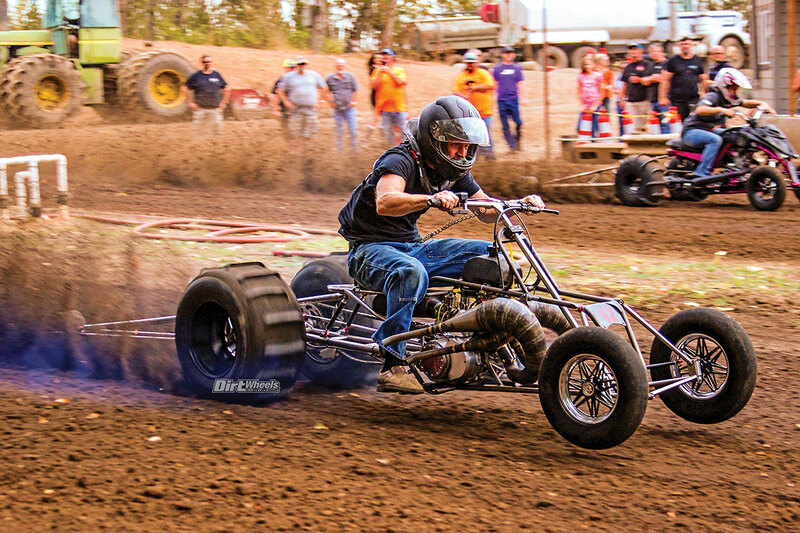 Two-strokes are extremely popular in ATV drag racing because the engine is lightweight and produces a ton of power and is easier to upgrade. Extending the frame length of a quad is only useful in straight-line speed. 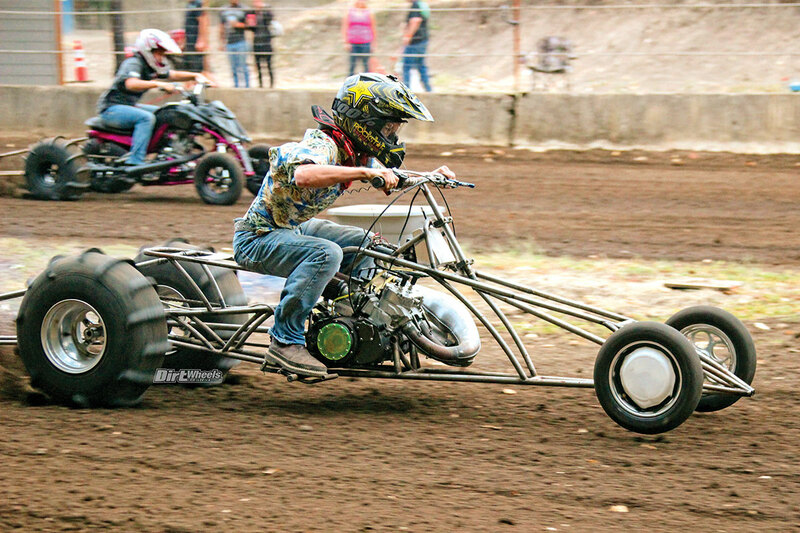 That feeling is what motivated Oregon sand drag racer Kam McCallister to approach his local sand-drag track with the idea of creating the Northwest’s best top-10 fastest Grudge Race Series. 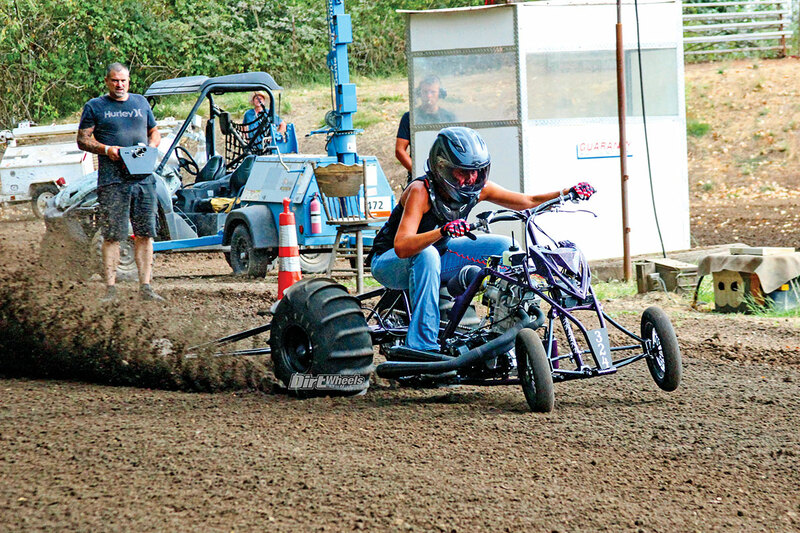 Albany Sand Drags owner Ryan Leach liked the idea, thus the May-to-October, six-race Friday-night Grudge Race Series in Albany, Oregon, came to fruition and is now in its fourth year with McCallister as race master. 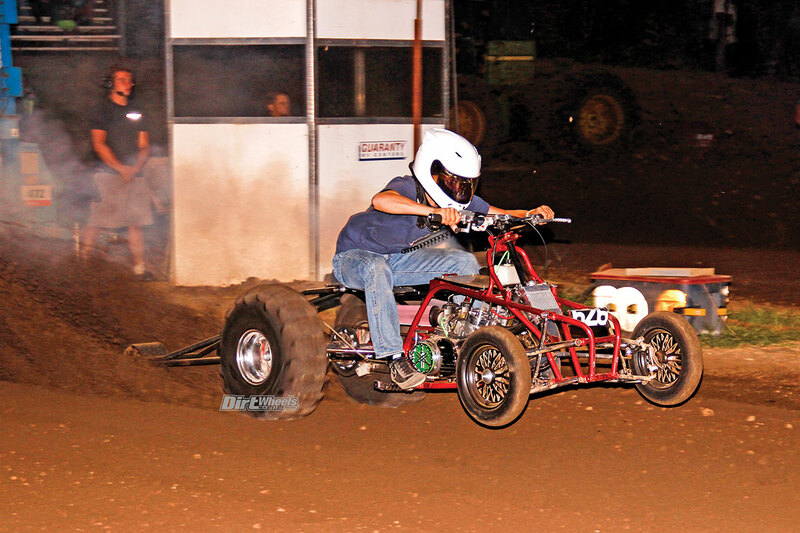 This twin-cylinder two-stroke quad schooled his competition in this race by a few bike lengths. It can be difficult to tell what these drag race quads are when they don’t have any plastics on them. This is a Yamaha Banshee. 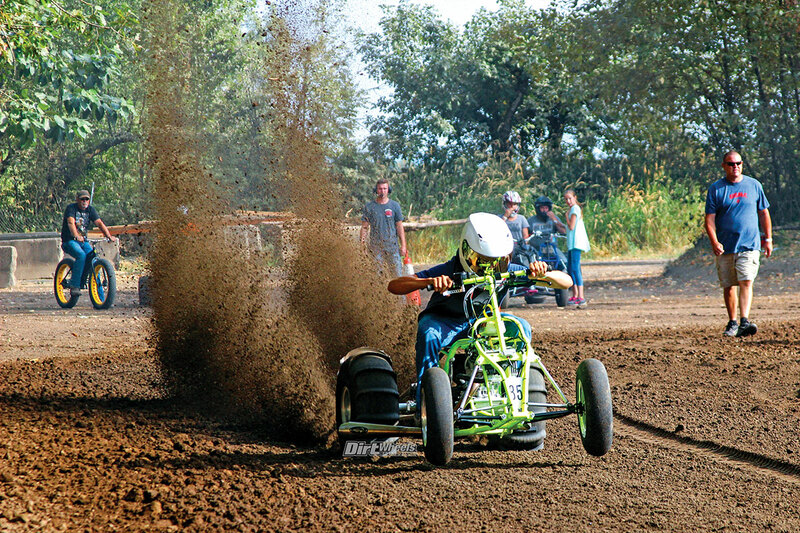 The events attract racers from the Pacific Northwest, Canada, California and sometimes other states, and even racers in Mexico joined the fun. Competitors who make the top-10 fastest list in their class at the first race of the season are “called out” to defend their position in subsequent heads-up races in the series by challengers wanting to move up or get on “the list.” Competitors must win two out of three races to be successful in their challenge. To assure the racing is fast and furious, racers’ motor sizes, elapsed times and speed are not revealed to the other contenders. 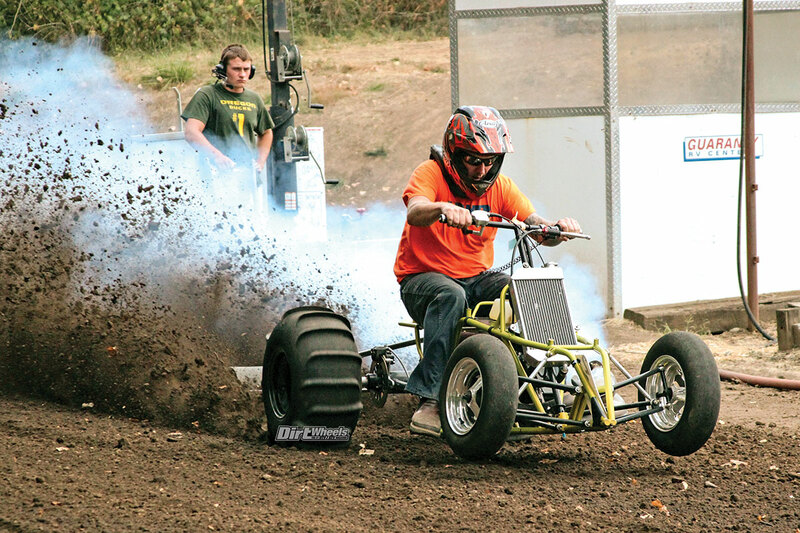 The goal of a drag race quad is to be as light and fast as possible. This machine doesn’t even have front shocks just to keep the weight down. 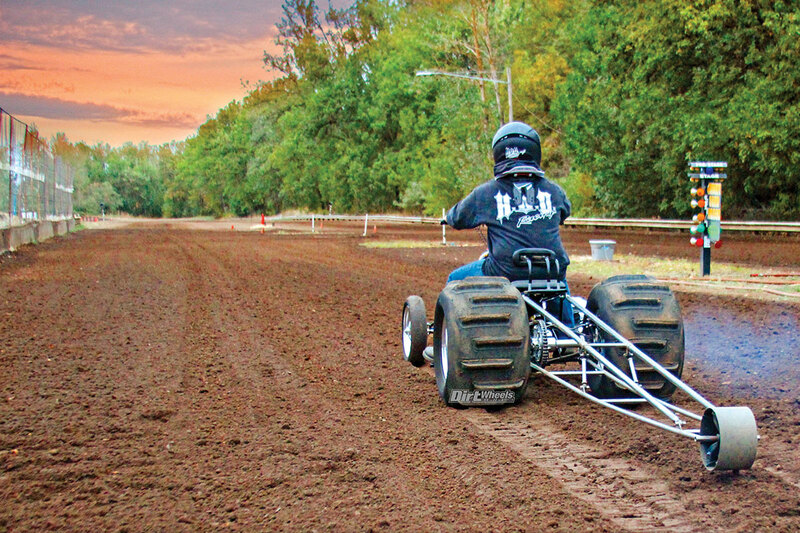 Drag racers use big sand paddle tires that can flex and grip under torque to provide a lot of traction. The lineup of ATVs at the track’s NHRA computerized starting lights, targeting a place in the top 10 in their class, runs the gamut from custom-built triple cylinders and two-strokes to modified stock two- and four-stroke engine classes. Men and women compete against each other in the same classes, but all that matters is who is the fastest. This rider is shredding a Yamaha Raptor 700 engine. A lot of the drag race machines do not run radiators; instead, they utilize a type of gel in the engine that can handle the heat for a very short amount of time. To say the heads-up racing gets pretty intense is an understatement. It’s more like friendly, all-out war to win a spot on the list in the three classes—Unlimited, Twin- and Single-Cylinder. The bragging rights for making the list, surviving challenges and remaining on the list are what this competition is all about! There aren’t too many better ways to blow off steam from a long work week than to shred the sand track with top fuel fun on a Friday night! Once the lights turn green, throttle actuation, shift timing and quick reflexes are half the battle to get a win. The other half is having the machine set up right. (www.facebook.com/albanygrudgeracing) for more information, and go to Dirt-N-Dunez Photography (www.facebook.com/dirtndunezphotography) for more photos of the exciting racing action.